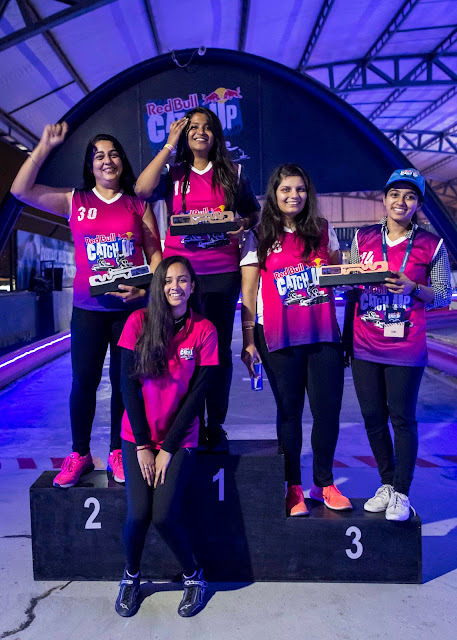 Gurugram, 08 March 2018: The National Finals of Red Bull Catch Up, a one of a kind amateur Go Kart tournament for women was held at SMAAASH SkyKarting, Gurugram. Anjali Anto emerged as the winner of the tournament and earned herself a ticket to Singapore to watch the Formula 1 Grand Prix. 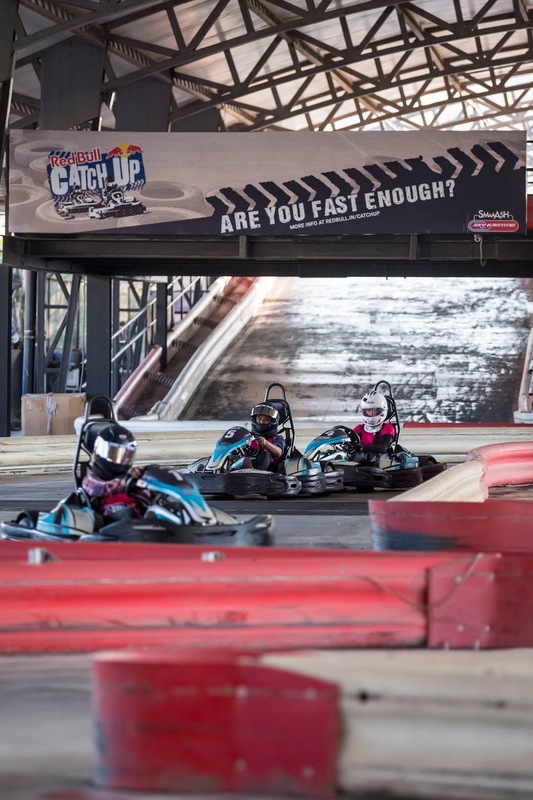 Red Bull Catch Up provides female amateur racers and racing enthusiasts the chance to experience the pro side of karting and get a competitive but fun outing at the track. 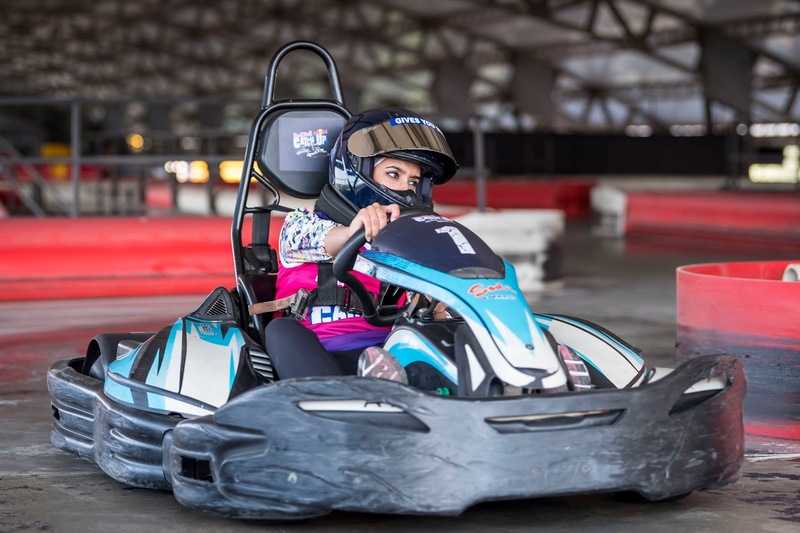 It’s a karting tournament designed to find the fastest female amateur kart racer in India. Mira Erda, India’s first female driver to compete in one of the highest classes of Formula Racing also participated in the event. Every group qualifier comprised of Mira starting last and overtaking the participants until the finish line. The participant to reach the finish line first, before Mira could overtake her, was declared the winner. 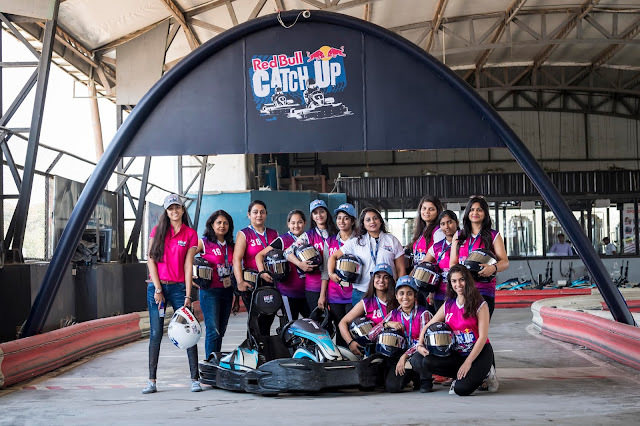 The qualifying rounds took place between 06 February and 03 March 2018 in Mumbai and Gurgaon which saw participation from more than 600 amateur female racers. The national finals saw the top 10 time setters from each city compete for the title. 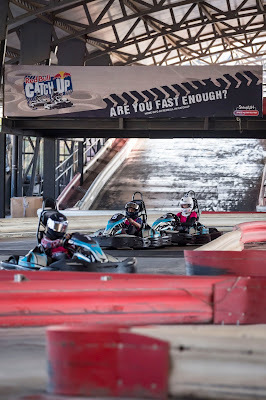 They were then broken up into four groups of five, with the top four winners from each race competing in the final race.